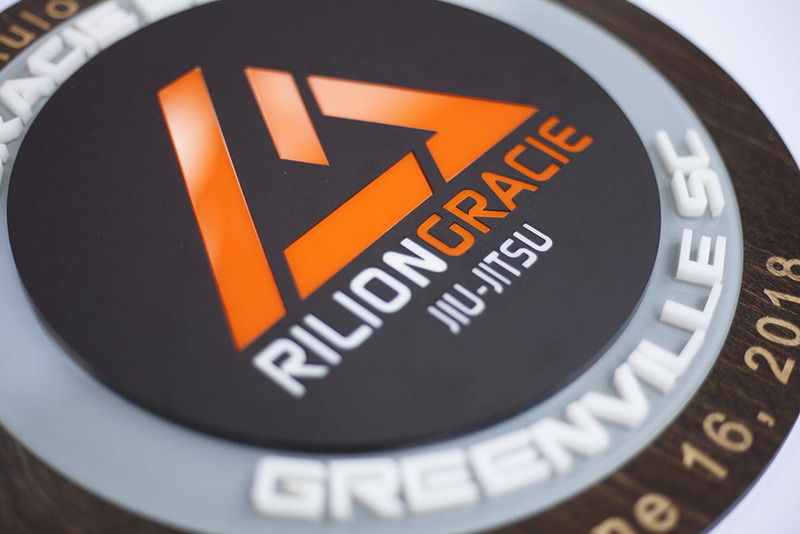 Laser engraved and cut round business sign with colored acrylic and wood made for a jiu-jitsu martial arts business. A round laser cut business sign detail picture. A unique business sign we made for a music company. 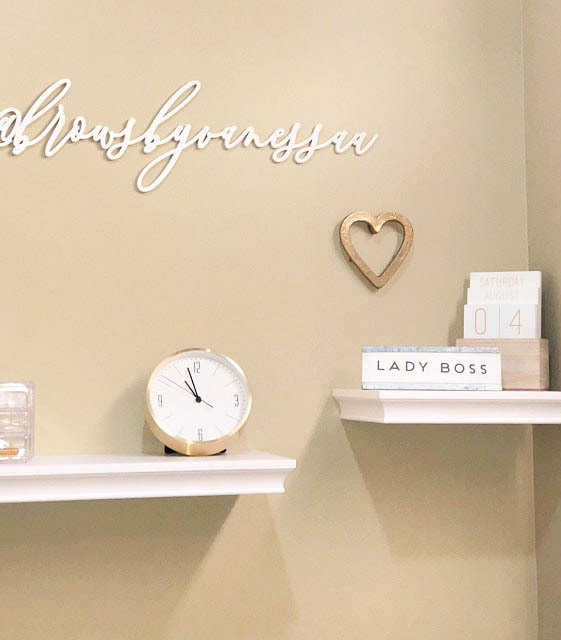 A hanging indoor business sign, engraved on 1 inch thick wood. Detail of mirror lettering we laser cut for a small business in Florida. 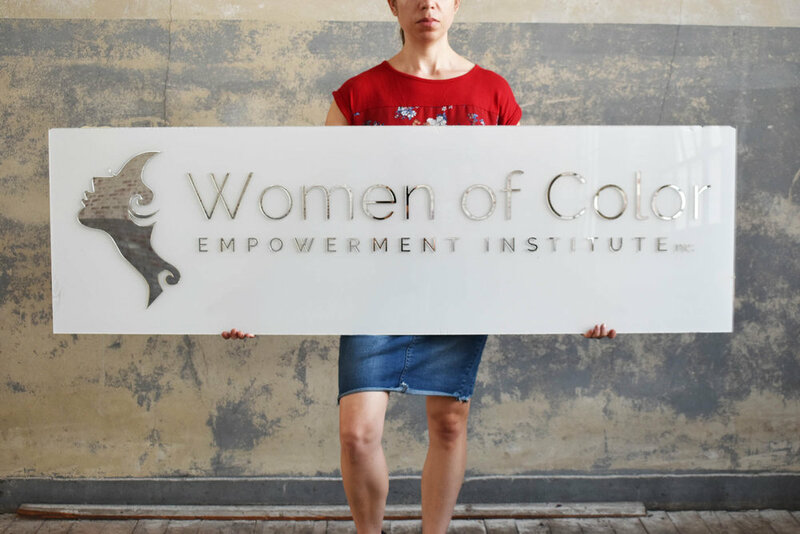 A colorful small business sign with colored acrylic and painted wood pieces. A rustic wood business sign with white lettering. 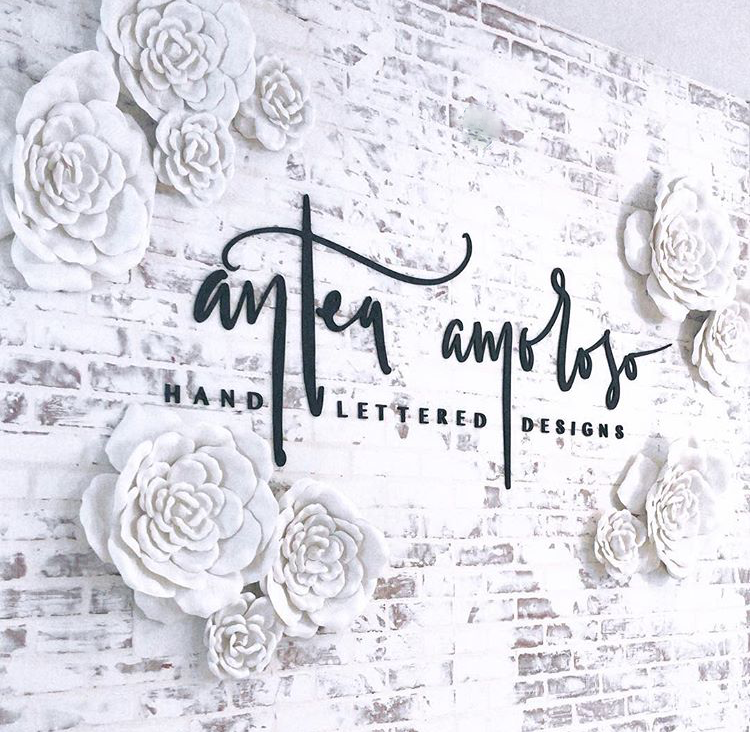 A five foot long white acrylic sign made for the flower company, Fifty Flowers. 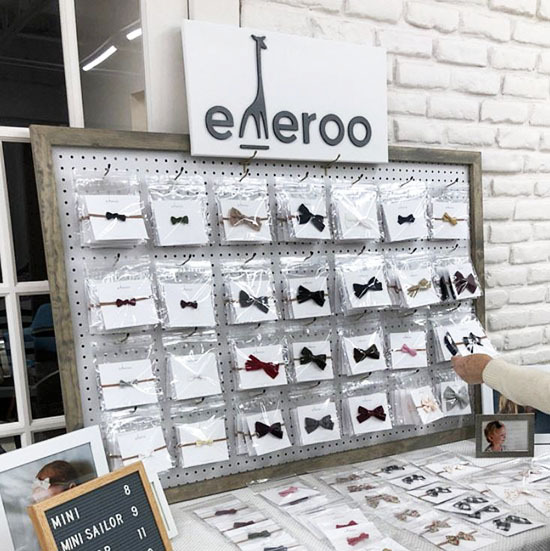 A national stationery show trade show booth sign we laser cut. 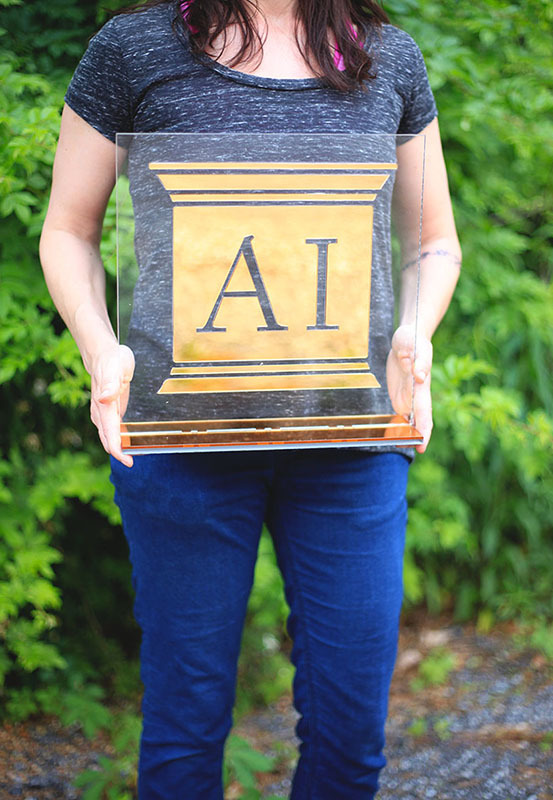 This custom sign is made from gold mirror acrylic and clear acrylic, stands on a table top, and was used for a fundraising event for The Monarch School in Texas. 3D laser cut business logo in black painted finish. Wood lettering installed on a business wall, measures about 5 feet across. Detail picture of a 3D large wall sign made for a marijuana business. Gold mirror wall letters laser cut for a business wall sign. A small table top sized engraved wood business sign. A custom acrylic business sign, about 48 inches long. Detail shot of white acrylic on custom pink acrylic for a small business sign based out of Brooklyn. A small business sign for a craft fair laser cut from black and white acrylic. A hand crafted circle wood business sign, for hanging on the store wall. A custom laser cut sign we made for UPS using cardboard box material. Details of a silver mirror and white acrylic laser cut business sign. A small custom business sign we made for the graphic design office of Illuminate Design Co.
Wall letters laser cut for an attorney's office. A large indoor wall sign made laser cut for a marijuana brick and mortar store. 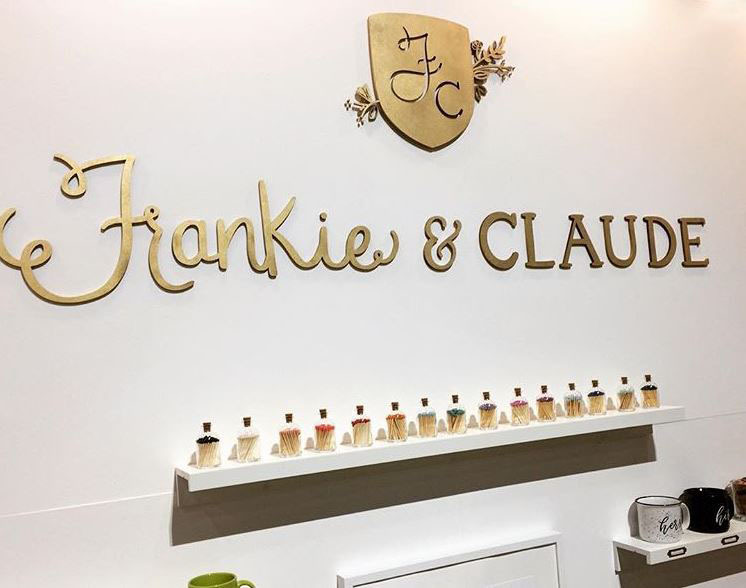 A laser cut logo painted gold for a trade show booth display. A rustic engraved wood sign, custom made for a small business. A large mirror business wall sign we made for a luxury florist. 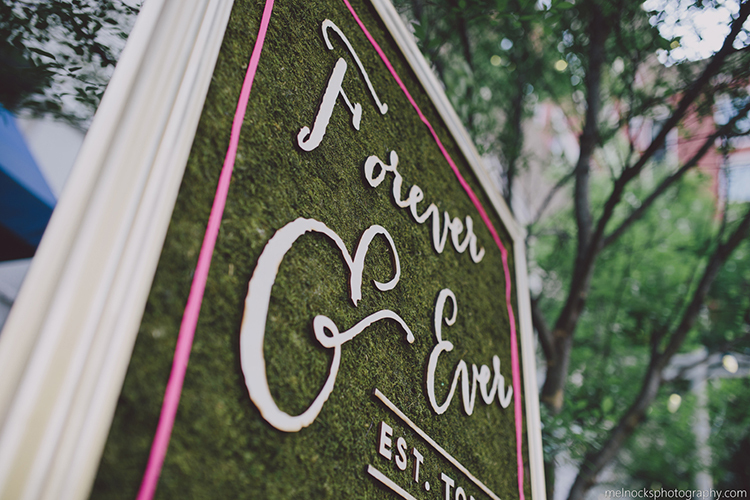 The final installed mirror logo sign for Forever Fiore, in FLorida. Glossy and matte acrylics make an awesome contrast for this business sign we made for Michelin. Stained ebony wood with slick white acrylic inlaid circle sign. 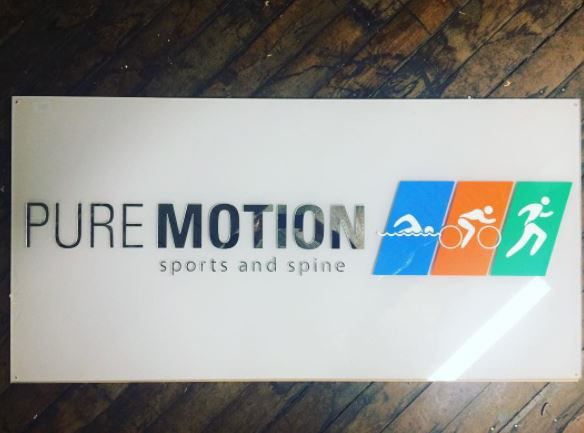 An interior business sign we made for the office of a chiropractor in Greenville, SC….Pure Motion Sports and Spine. This sign is all acrylic 3D pieces….so the entire sign has dimension (much neater looking than a purely printed acrylic sign).